I prepared the chicken based on a dish I recall from years ago at a local mediterranean restaurant: I chopped kalamata and green olives, mixed them with thyme, tarragon, and garlic… then pushed the mixture under the skin of the pieces of a whole chicken. I drizzled the chicken pieces with olive oil, and spiced with salt, pepper, and smoked paprika and baked it in a greased pan, with pieces separated, for about an hour at 360°F. Nice! 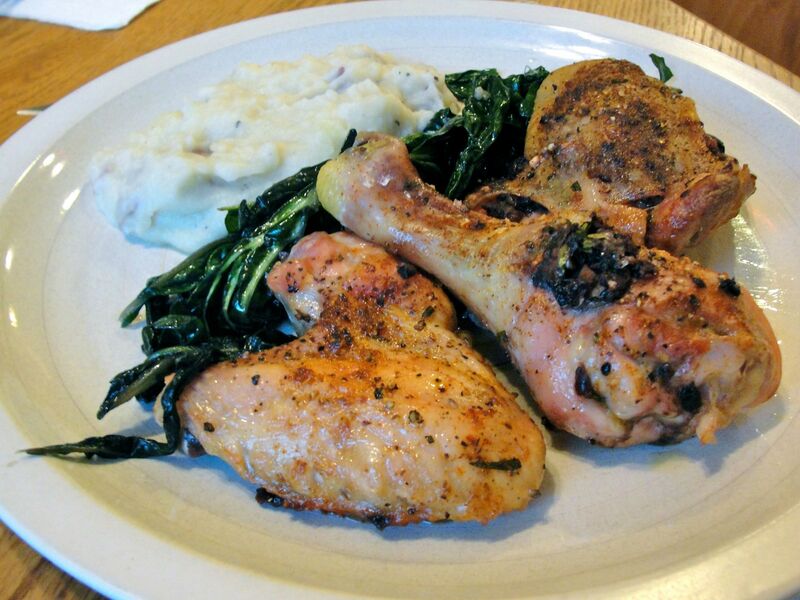 Served with sautéed green swiss chard, and garlic mashed red potatoes.